I’d argue that the financialization of the economy that basically started under Nixon and really took off under Reagan is the primary reason why the Republican party is so extreme. The effects of financialization have been severe on much of the population as it has created serious poverty and extremes in wealth inequality. In order to keep half the population voting for them, the Republicans amplified wedge issues like abortion and gay rights to distract them from the massive amounts of wealth they were losing under their leadership. As the wealth divide has become more extreme, so have the measures to keep the Republican base motivated to vote. It’s a vicious cycle – the less money the government spends on things like education, the less informed the population are and the easier they are to manipulate. Idiots like Rick Perry and Michele Bachmann serve as marketing tools rather than anything else. The brains behind the GOP are probably just as scathing about them as liberals behind closed doors, but without them, they lose their base. Bob Cesca and Chez Pazienza had different takes on the question, arguing that Reagan’s deal with the religious Right in the 80’s, the rise of Fox News and and the election of an African American President drove the party over the edge. I don’t disagree with them as there are obviously many cultural elements to the Republican party’s current state of disarray, but I do think the issue of financialization and wealth inequality is the underlying cause of the GOP’s extremism, and I believe it is a topic is worth expanding on. The financialization of the economy essentially shifted the US to a debt based monetary system where trillions of dollars were borrowed and lent out astonishing ratios on Wall St. The effect was a boom and bust economy that created and destroyed massive amounts of wealth in very short periods of time. While corporate America was privvy to bailouts from the government when bubbles burst, the majority of the population has lived with increasing insecurity, debt and poverty. While the financial services industry accelerated during the 80’s, real industry collapsed in America as manufacturing jobs were shipped abroad as a result of free trade agreements drafted by banking institutions. De-industrialization had a severe effect on the middle classes as it eradicated well paying blue collar jobs and halted social mobility almost completely. Living standards were artificially maintained through access to credit while wages stagnated or declined, and costs rose. When Wall St lost faith in the housing market in 2008 and the debt called in, the economy was almost destroyed leading to an even bigger increase in inequality and poverty. As access to credit became more difficult, the facade of wealth disappeared for most Americans and the reality of the modern economy finally sank in. The Republican Party has wedded itself to this theory of economic deregulation, making them the party of business because they cater exclusively to their needs. While their policies have made the rich richer and effectively plunged millions of people into debt and poverty, they have had to adapt their message to continue bringing in votes. Republicans encourage the blame of ethnic minorities, secularism and government for the country’s woes, not an economic system that works exclusively in the interests of the rich and the expense of everyone else. This has been made easy due to the erosion of the US education system – another victim of severe underfunding and increasing privatization. Without the tools to understand what is happening to them, many Americans have turned to religion and extremism to make sense of their fracturing country. 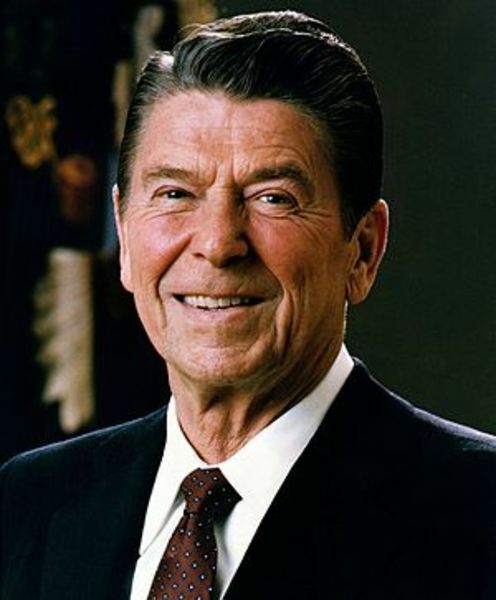 Ronald Reagan caught onto this back in the 80’s forging links to the evangelical community, and the relationship has become more entwined ever since. It has been convenient in terms of getting out the vote in recent times, but it has given rise to a new breed of Republican so extreme that it is now hurting them when it comes to national politics. Bob Cesca’s point that media outlets like Fox News have contributed to the current extremism in the Republican Party is correct, but I would go further in saying that Fox didn’t create extremists – it just catered to them. The network exists only as a propaganda arm of the Republican Party, and their programming reflects the need to draw voters with extreme views. They hire presenters like Sean Hannity and Michele Malkin because they are extremely effective at manipulating viewers into believing the Republicans serve their interests. But the Republican Party now finds itself in a very tricky predicament – it must continue to cater to the extreme fringes of its party in order to get votes out, while maintaining links with the center in order to get their national candidates elected. Wealth inequality is literally forcing the party to be extreme as it has no other way of reaching poor white people, making them unelectable in the process – a ironic twist of fate they can only blame themselves for.